Giving you the skills, tools and knowledge for person-centred change. We can work with you to make positive change for people you support and within your organisation. We help you develop your skills through practical tools that you can use immediately in your work. We deliver this in a way that suits you. Get the person-centred thinking tools and skills you need to support people as individuals. Use person-centred thinking tools to help people plan their support. A fresh approach to planning support, keeping people at the centre. Learn how to deliver more personalised services under tighter budgets. Get the most out of your meetings and your team with this approach. Improve your supervision sessions, relationships and communication. Maximise opportunities by thinking differently about risk and support. Work better together with a team plan, shared vision and support system. Think long-term continual development and train the trainer. 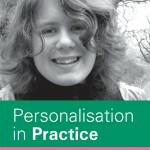 This resource will help you understand what 'person-centred practice' is by completing a one-page profile about yourself.